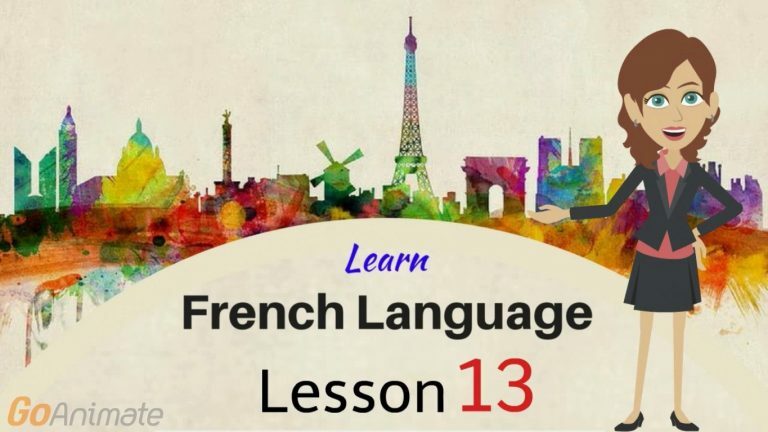 Watch Your Way To Learning French–Part 13! Author AlbertPublished on 27 February 2018 13 April 2019 Leave a comment on Watch Your Way To Learning French–Part 13! Today’s lesson brings you 10 words to add to your memory stores, and a conversation that ensures you will be able to carry on a conversation without a hitch. Complete this exercise after watching the video, and write your answers in the comment section below. Exercise: Identify the correct responses to the sentences. 2- Je vous appellerai la nuit. Alors s'il vous plaît restez en ligne. b) Oui! Je vais le faire, comme toujours. a) Je vais bien! Pourquoi tu ne réponds jamais à mon appel? b) Je vous appellerai la nuit. 4- Celui du boulanger, M.Lapin. Appelle-moi encore une fois après un moment. a) Je vous appellerai la nuit. 5- Pourquoi tu ne réponds jamais à mon appel? b) Désolé! J’étais au magasin. a) Celui du boulanger, M.Lapin. Appelle-moi encore une fois après un moment. Published on 27 February 2018 13 April 2019 Categories Learn FrenchTags Basic French words, French courses, French language, French lessons online, French vocabulary, Learn French Albert learning, Learn French online, online French coursesLeave a comment on Watch Your Way To Learning French–Part 13! watch Your Way To Learning French–Part 12! Author AlbertPublished on 17 February 2018 13 April 2019 Leave a comment on watch Your Way To Learning French–Part 12! In this, your twelfth lesson, you are further than you have ever been while exploring French! Your next 10 words–like all the others–are commonly used in daily conversations, and will definitely help you if you decide to travel to France tomorrow. After watching the video, complete this exercise, writing your answers in the comment section below. Exercise: Write the correct spellings of the words from the vocabulary. Published on 17 February 2018 13 April 2019 Categories Learn FrenchTags Basic French words, French conversation, French courses, French language, French lessons online, French vocabulary, Learn French Albert learning, Learn French online, online French coursesLeave a comment on watch Your Way To Learning French–Part 12! Watch Your Way To Learning French–Part 11! Author AlbertPublished on 6 February 2018 13 April 2019 Leave a comment on Watch Your Way To Learning French–Part 11! You have studied enough French words that you can hold an entire conversation! Maybe even two! Write your answers to the following exercise in the comment section below. Exercise: Read the sentence and choose the correct French translation. 1-Did you find our house? a) Non! Mais je vais la trouver dans une heure. b) Avez-vous trouvé notre maison? 2- No! I am in the house with my husband. b) Non! Je suis dans la maison avec mon mari. 3- Good! First take a right from Charles street. a) Bon! Tout d'abord, prenez à droite de la rue Charles. b) Puis trouvez le café monde. 4- No! But I will find it in one hour. a) Avez-vous trouvé notre maison? b) Non! Mais je vais la trouver dans une heure. 5- Thank you! Are you alone? 6- Then find the cafe World. a) Non! Je suis dans la maison avec mon mari. Published on 6 February 2018 13 April 2019 Categories Learn FrenchTags Basic French words, French courses, French language, French lessons online, French vocabulary, Learn French Albert learning, Learn French online, online French coursesLeave a comment on Watch Your Way To Learning French–Part 11!